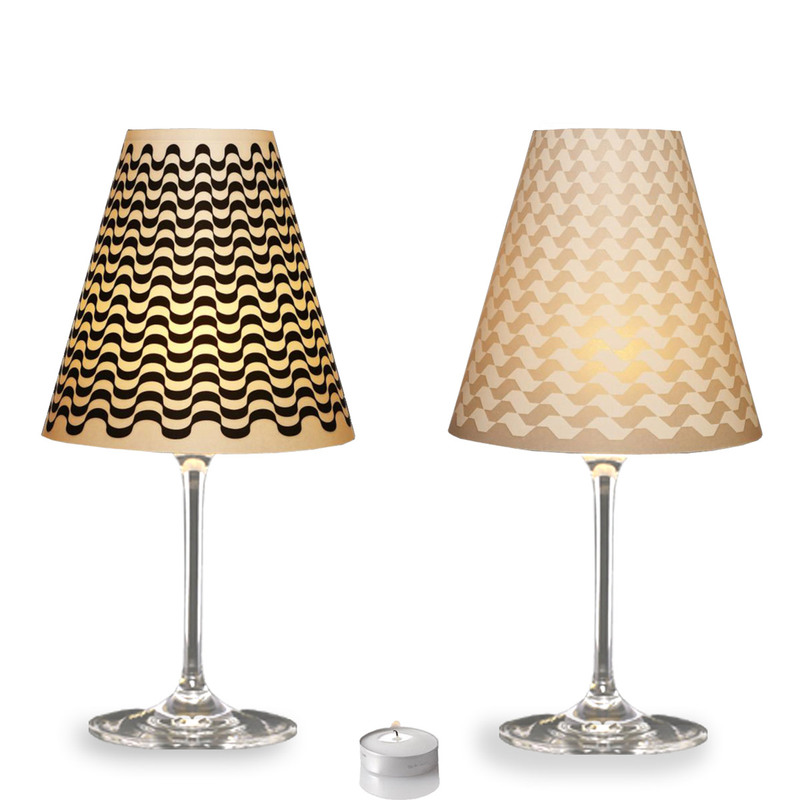 Top off your wine glass... with cosy light! Are you looking for an original way to illuminate your dining table? Are you hosting a dinner party? By watching television programmes, you must have learned that it's not only important what you set on the table, but also how your table is decorated. 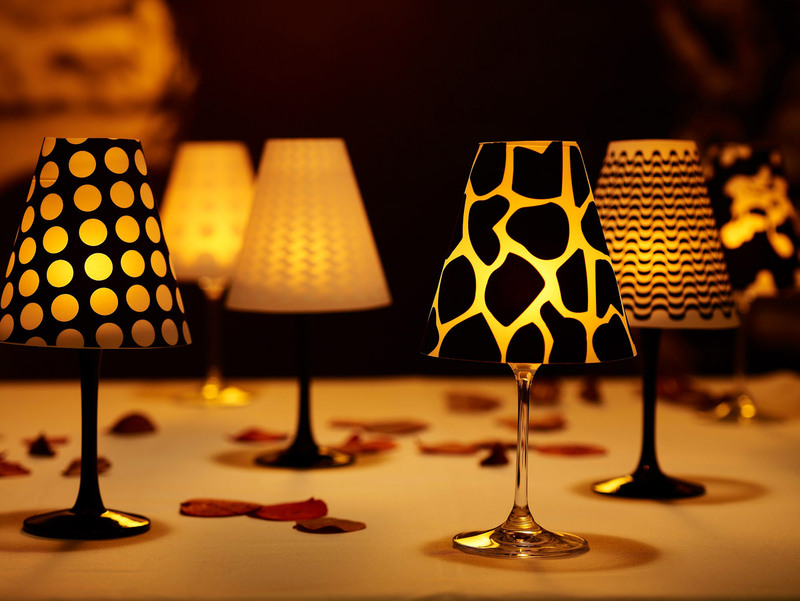 Forget boring candles and use the Wine Glass Lampshades to bathe your table in cosy light. 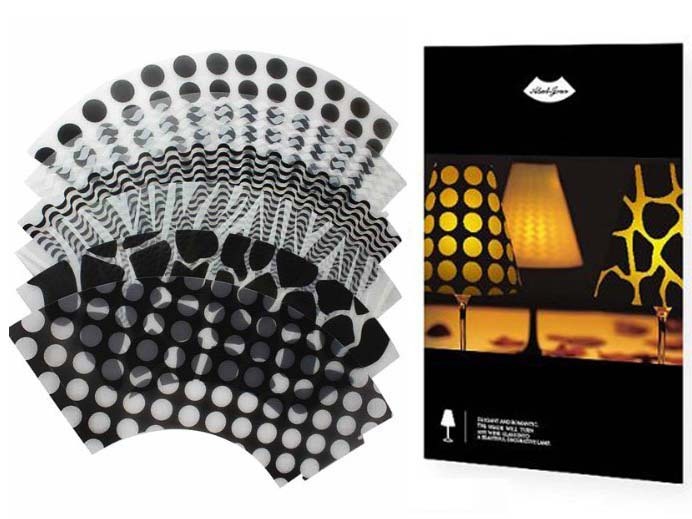 Every set of Lampshades you order contains 6 different hipster designs. 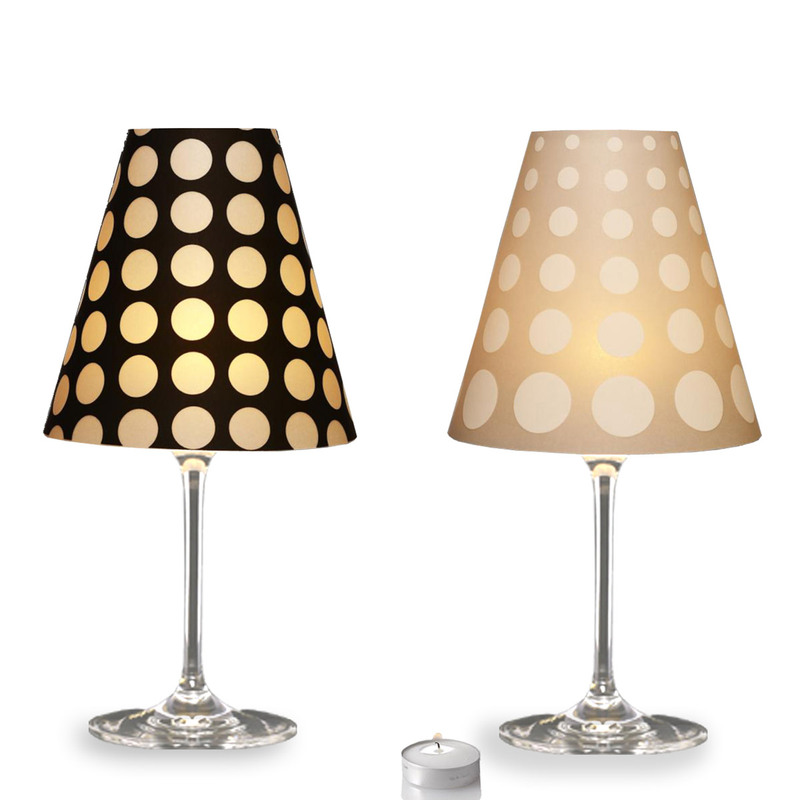 Which will enliven your table tonight, the Zebra, Giraffe, Retro Copacabana, Retro Paulista or the Polkadots? 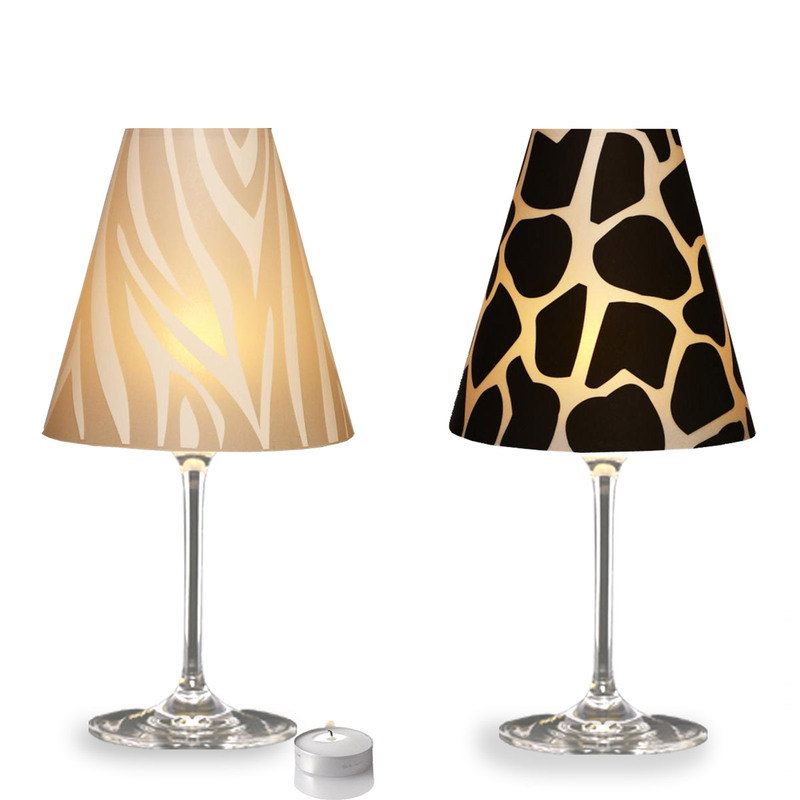 Simply take a wineglass, put a burning tea light in it and place one of these beautiful lampshades over it.